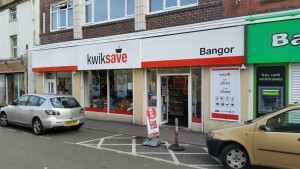 Former Bangor Mail executive editor banned by Bangor Kwiksave owner | News by Wales Express News, People Before Profit! Former Bangor Mail executive editor banned by Bangor Kwiksave owner Manny Shoker. Former Bangor Mail executive editor banned for her editorial judgement! The former executive editor of the Bangor Mail, Linda Roberts, was told on Friday that she would not be welcome to return to Beran filling station near Deiniolen. 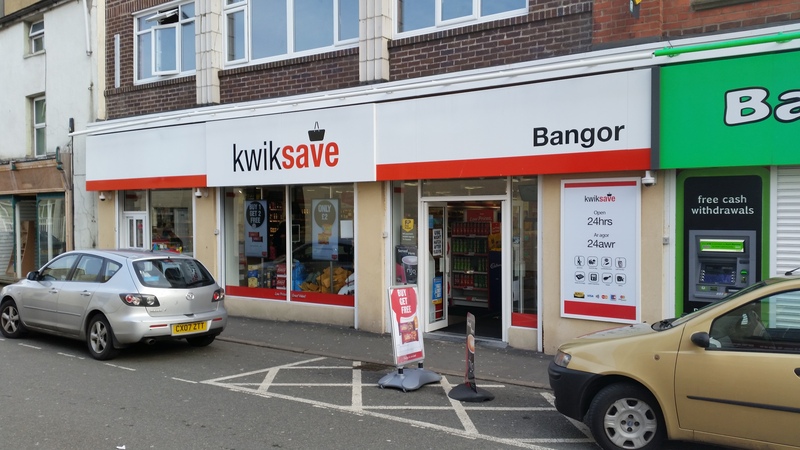 Kwiksave on Bangor high street currently run by Manny Shoker. Owner Manny Shoker was unhappy with a decision Linda made to place a story about his £3,000 cheque donation from one of his other businesses, Kwiksave on Bangor high street, to the People of Bangor Community Group on page three of her former paper, the Bangor Mail last year. Linda explained: “At the time, I received a deeply unpleasant phone call from Mr Shoker, who was livid that his donation had only made it to page three, and that threats to cut a vital bus service for schoolchildren had made it to page one, a position he felt his generous donation deserved. “I told Mr Shoker that he was lucky that his story had made it to page three, as there are many wonderful people in our communities raising thousands of pounds for various charities and not only do they do so without asking for publicity, they actually shun it. “I think that schoolchildren having to face a long and dangerous walk to school because their bus service was under threat, was a good story, it affected the pupils and their families, and I stand by my decision to give it more prominent placement than a cheque presentation. 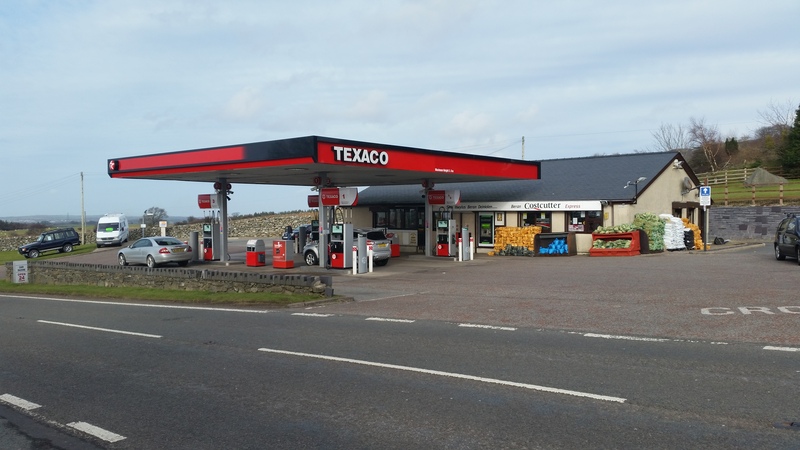 TEXACO Beran petrol station currently run by Manny Shoker. Linda, who is now the executive editor for Wales Express.com was shocked when she walked into the TEXACO Beran petrol station on Friday morning, to be confronted by Mr Shoker, who told her that he would prefer it if she did not come back to the filling station again, because he disagreed with what she had done. She said: “It was embarassing in all honesty, he did it in front of other customers, and I feel that he has no understanding whatsover about journalism or newspapers. He obviously made his grand gesture in order to get publicity and was peeved when it didn’t get the attention he felt it deserved.